A simple, esp-less model replacer for Drainspell Bow and Drainblood Battleaxe. Comes with 3 color variants. 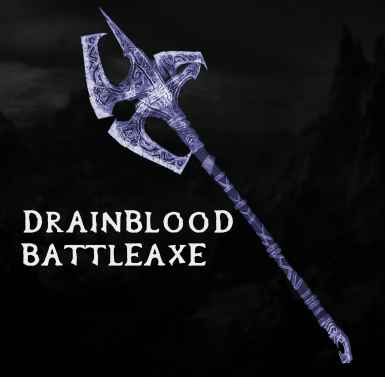 This mod replaces Drainspell Bow and Drainblood Battleaxe models. This is compatible with my other mod, Spectral Blades﻿, as this doesn't replace the swords (Ghostblade and Drainheart Sword) at all. This also comes with 3 color variants: Cyan, Dark Blue and Purple. 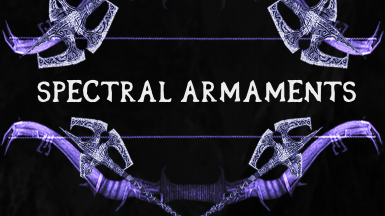 This mod will also replace the "fxdraugrmagicaxestreak.nif" file for the modified Battleaxe effects. 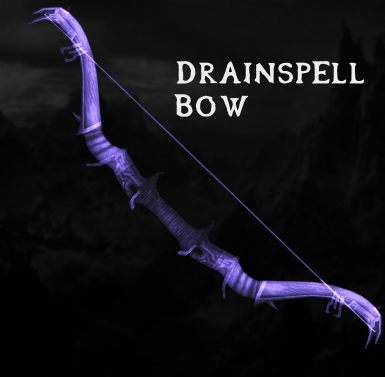 Drainspell Bow when fully drawn back if you're attacking was not intended. See last screenshot for reference. power to drain magicka and stabilize it to a usable state for the user. Other than that, the bow functions as it should.